It’s been a busy few months. What I term PR’s crazy season is well and truly in full swing and there’s little time for much else at this all-consuming time of year. I’ve a number of half-formed blog posts to finish and upload when things quieten down a little – so stay tuned for a plethora of updates when I catch my breath. In the meantime, a little news. On Friday, I was proud to accept a silver award for our campaign for Pubs of Ulster‘s inaugural Great Ulster Pub Week at the CIPR NI PRide Awards – the premier annual awards for the Northern Ireland PR industry. The award – in the Integrated Campaign category – means a lot to me and the whole MCE consumer team; it was a massive but hugely rewarding project and one we’re all very proud of. It was also an honour to present an award on behalf of the CIPR NI committee – congratulations to Barnardo’s NI on their Gold award in the Low Budget category for their Children: The Forgotten Victims of Crime campaign – very deserving winners indeed. It was great to see such a diverse cross section of the industry represented and rewarded at PRide, with winners from across the entire spectrum – agencies small and large, freelance practitioners and in-house PR teams. The full list of results and case studies from the winners are now available to view online here. For our own part, it was particularly pleasing to be recognised for our work on The Great Ulster Pub Week in the highly competitive Integrated Campaign category. PR is no longer just about press releases and media relations – though those elements of our work will continue to be very important, our campaigns now increasingly span the entire marketing mix, taking in advertising, digital, social and events alongside traditional PR. 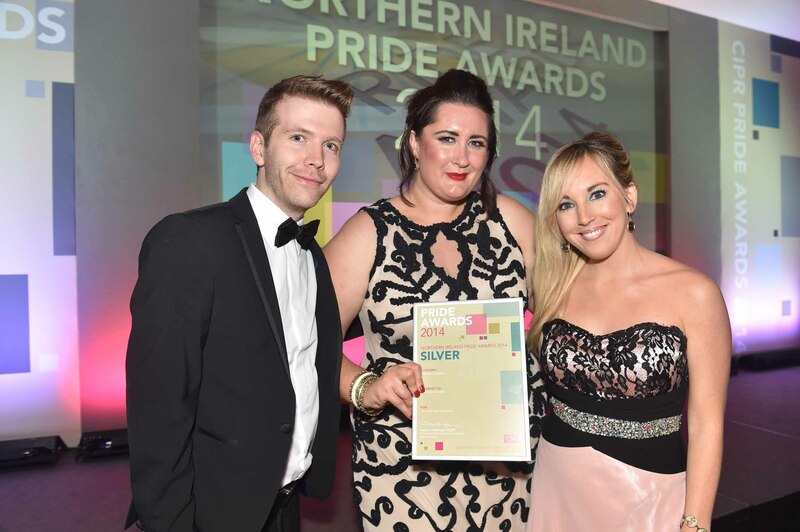 In the same spirit of information sharing demonstrated by The CIPR in providing case studies on each of the Gold PRide winners, I’d like to provide a further insight into the work that went in to our Great Ulster Pub Week campaign. I hope it’s useful. 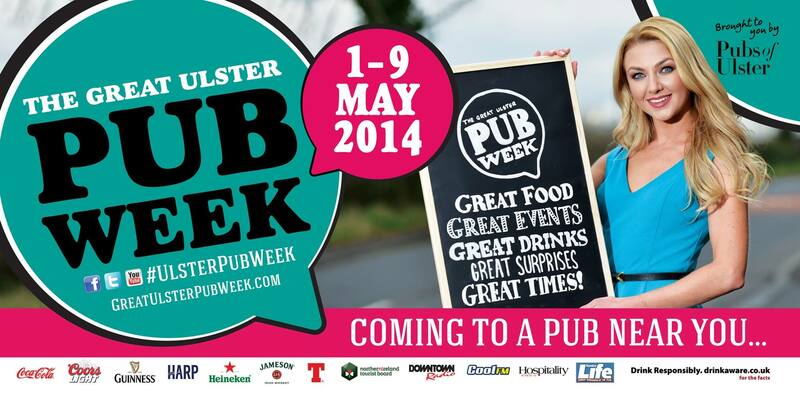 The inaugural Great Ulster Pub Week was launched by industry body, Pubs of Ulster in May 2014. Created to develop a positive platform to celebrate all that’s great about Northern Ireland’s pubs, it was the largest ever multi-venue pub celebration ever seen in Northern Ireland, with over 160 participating pubs. Pubs of Ulster engaged with MCE to create a fully integrated marketing plan to inform and inspire consumers across Northern Ireland to rediscover their local pub. • To communicate the positive, socio-economic contribution of the NI pub industry to the general public/key stakeholders and move dialogue away from pub closures and alcohol misuse/abuse. • To drive footfall and sales in participating Northern Ireland pubs. • To encourage publicans to be proactive and to think more objectively about their business/try new things and upskill publicans to create a lasting legacy for growth. • A handbook with advice on how to make the most of their involvement in The Great Ulster Pub week was created with a wide range of advice and tips on how to run successful Pub Week events, empowering publicans. • Pubs were encouraged to think outside the box to create exciting and unusual events to excite and entice customers. Right across Northern Ireland, pubs showcased the best food, entertainment, arts, crafts and craic in a jam-packed nine days full of exciting events. • Social media training workshops and World Host Customer Service training was offered to all participating pubs, effectively upskilling publicans and greatly increasing the social media footprint of NI pubs and the Great Ulster Pub Week campaign. • The campaign went beyond traditional media, engaging with bloggers and influencers to create shareable content. • A series of pop-up Pub Week events were created including a touring caricature artist and magician, plus a one-off show with well-known mentalist/illusionist, David Meade, bringing a sense of theatre and occasion to the pub experience. MCE devised, planned and managed an integrated PR, media relations, advertising, marketing, events and social media campaign, with the thrust of activity taking place in the month from the launch event on Thursday 3rd April 2014 through until the end of The Great Ulster Pub Week, which ran 1-9 May 2014. 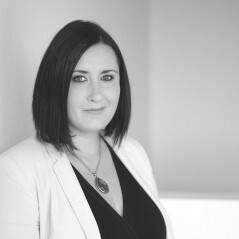 • The campaign launched a month ahead of Pub Week with a launch party that attracted 200 people including media, bloggers, publicans, sponsors and suppliers, creating massive talkability, with hundreds of tweets and Facebook posts. • Highly valuable media partnership with NI’s number one commercial radio stations, Downtown Radio/Cool FM was brokered, which delivered a high impact promotional package encompassing over 200 30-second promotional spots/live reads; roadshows and street crew support for two separate Pub Week events; a two-hour live outside broadcast from the Great Ulster Pub Week World Record Attempt Pub Quiz; dedicated Great Ulster Pub Week microsites on Downtown & Cool FM websites; interviews, competitions; on air talk time and social media endorsements from the stations and their key presenters. • The website, GreatUlsterPubWeek.com was updated with key events highlight, news, a promotional video and in the build up to and during Pub Week on social media to encourage interaction. • Press promotions ran in national and regional print & online media for readers to win a £50 meal voucher for a pub of their choice encouraging interaction/talkability about the project. With a very short lead-in period, we took The Great Ulster Pub Week from an embryonic idea into a campaign that engaged 160 local pubs (60% higher than the initial target of 100 pubs) to create the largest multi-venue pub celebration ever seen in Northern Ireland. The campaign successfully opened dialogue about the positive socio-economic and cultural contributions of NI pubs, moving the conversation away from negative news of pub closures/teenage binge drinking. A post-event survey showed that 55% of participating pubs surveyed saw up an increase of up to 10% in footfall during Pub Week, with a further 15% reporting footfall increases of up to a 20%. Some 75% of participating pubs said they saw an increase in turnover during Pub Week; 77% of participating pubs ran a brand new event especially for Pub Week; and 85% of the pubs said they would take part again. All partners, sponsors and suppliers have also said they would like to be involved again in 2015. Pubs reported that they attracted new customers as a direct result of events they ran. At least 378 positive media articles/broadcast mentions were achieved (excluding social media), communicating the varied events programme and pubs taking part, spanning over 40 titles/stations including national and regional print media, television, websites, blogs and radio. The media partnership with Downtown/Cool FM proved to be an exceptionally positive and high impact promotional platform. The advertising and promotional elements of the campaign reached a combined audience of approximately 2,193,263 people, with the editorial elements estimated to have reached a further 217,090 people. The two hour live broadcast from the Great Ulster Pub Week World Record Quiz attempt was priceless, reaching 31,000 people. Additional partnerships with The Sunday Life and Hospitality Review NI provided further positive coverage. A modest first year advertising budget was supplemented by securing free advertising spots including a presence for The Great Ulster Pub Week on Jameson Irish Whiskey and West Coast Cooler outdoor campaigns.